Nazis order a ban on all Jews in businesses, professions and schools. Dutch fighters shoot down a British bomber near Rotterdam by mistake, killing one flier. The British and French decide to start mining neutral Norwegian waters from the 8th April 1940. In an attempt to intercept British convoys sailing to Greece, the Italian navy puts a force of 1 Battleship, 8 Cruisers and 9 Destroyers out to sea. However, they are spotted by an RAF flying boat which alerts Admiral Cunningham who orders the Mediterranean fleet to slip anchor and intercept the Italians the next day. 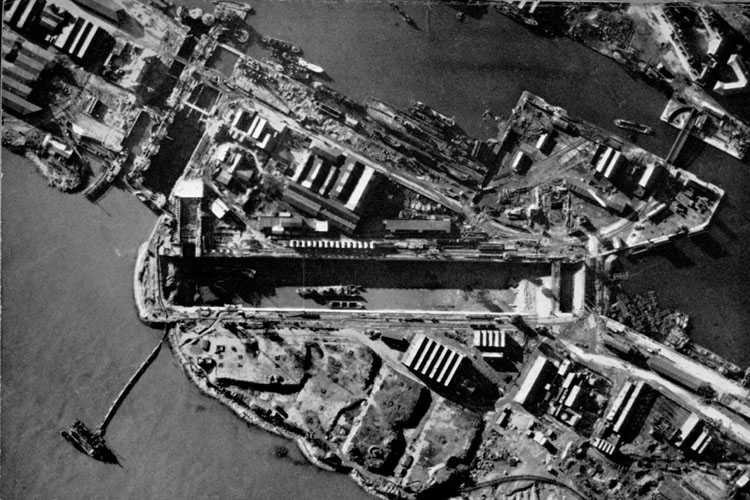 Naval and Commando raid against St. Nazaire. A British ship, the HMS Campbeltown, a Lend-Lease American destroyer, which was specifically rammed into a German occupied dry-dock in France, explodes, knocking the area out of action for the German battleship Tirpitz. that devastates 265 acres of the old city. The RAF lost 13 aircraft and from one of these the Germans were able to obtain their first specimen of the GEE equipment. In retaliation for the raid on LÃ¼beck, Hitler orders the Luftwaffe to bomb historic British towns and cities. Fritz Sauckel named Chief of Manpower to expedite recruitment of slave labour. In response to General Stilwell’s request for a British counter-attack to relieve the pressure on Chinese forces around Toungoo, Alexander orders the 1st Burma Corps to attack at Paungde and Prome in the Irrawaddy valley. The British First Army goes onto the offensive in northern Tunisia. The Russians recapture Nikolaev on the Black Sea and enter Romanian territory. Merrill’s ‘Marauders’ begin a 10-day defensive action against 1,300 Japanese at Nhpum Ga Ridge. Argentina declares war against Germany. The British Second Army begins its drive towards the Elbe as the U.S. First Army captures Marburg, 60 miles Northeast of Koblenz. The US Third Army captures Limburg on the Lahn. The Russians capture Gdynia, along with 9,000 prisoners, after a long struggle. The 1st Belorussian Front captures Gotenhafen north of Danzig. Hitler replaces General Guderian with General Krebs as chief of OKH.